Does your company lease office space, vehicles, or equipment? 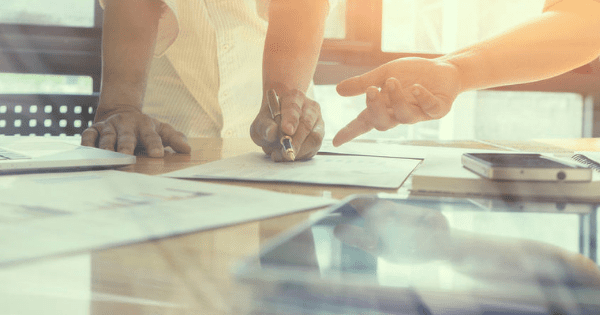 If so, and your company’s financial statements are prepared in accordance with generally accepted accounting principles (GAAP), the new lease standard may have a significant impact on your company’s financial statements. Under the existing rules, if your leases do not qualify as capital leases, they are considered operating leases and the monthly payments are recorded as rent expense. Under Accounting Standards Update 2016-02, Leases (Topic 842) issued by the Financial Accounting Standards Board in 2016, the accounting for operating leases will significantly change. For lessees, any leases that are over 12 months in duration will need to be presented on the company’s balance sheet as a right-to-use asset and corresponding liability for the obligation to pay rent. The asset and liability should be initially measured at the present value of the lease payments, including payments to be made in optional renewal periods if the lessee is reasonably certain to exercise an option to extend the lease. The present value should be calculated using the discount rate implicit in the lease (if determinable) or the lessee’s incremental borrowing rate. The lessee has made significant improvement to the property and is depreciating those improvements over a period longer than one year. The lessee is the sole user of the right-to-use assets and provides the necessary cash flow for the lessor to service the debt. The lessee is guaranteeing the debt of the lessor. It would be economically disruptive for the lessee to relocate to a new facility. If these criteria are met, month-to-month leases should be reported under the new guidance as right-to-use assets and the related liability should be recorded. The new standard will also change how certain lease costs are recorded. Under current GAAP rules, all executory costs, such as those for property taxes or insurance, are excluded from minimum lease payments. However, under the new standard, these types of costs are included in the lease payments used to calculate the lease liability and right-to-use asset. The new assets recognized for operating leases will change book/tax difference computations and could affect certain state and local tax apportionment calculations and transfer pricing. The new rules will also add additional disclosures, both quantitative and qualitative, and may affect the ratios that lenders and other financial statement users to evaluate financial position and performance. Existing debt covenants and borrowing costs could be impacted, and sureties may also re-evaluate bonding capacity based on the changes to the financial statements. This new standard will be effective for non-public companies with fiscal years beginning after December 15, 2019 with early adoption permitted. As many companies may have numerous leases that exist in various locations throughout their organizations, it may be time-consuming to locate and extract all the data from these leases, so start planning now by locating and extracting the data for your organization’s leases to be in compliance with this new standard. If you have any questions about the new standard please contact us.